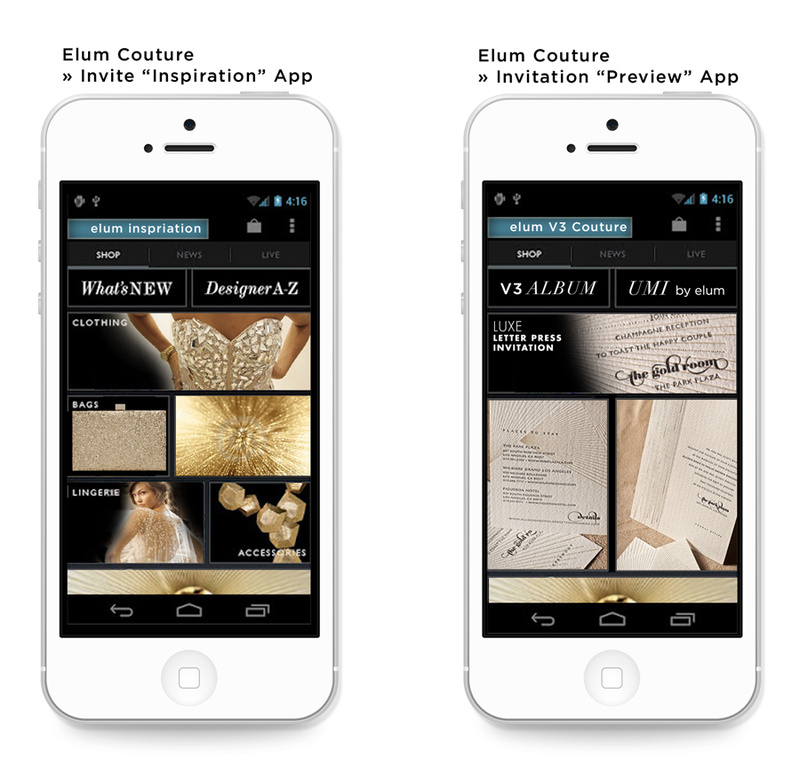 This mobile app front end design was created to easily showcase “premier” invitations by Elum Couture. The initial screen is a teaser of eye-catching inspiration using attractive imagery to convey a sense of luxury. Each section is clickable and will link the user to an expanded inspiration board. The second view is a more in-depth look at one of the invitations in the couture album. On this screen the user can select an item to receive more details on that specified item. It’s a user-friendly app to create quick access to glam shots of high-end wedding invitations and order information.